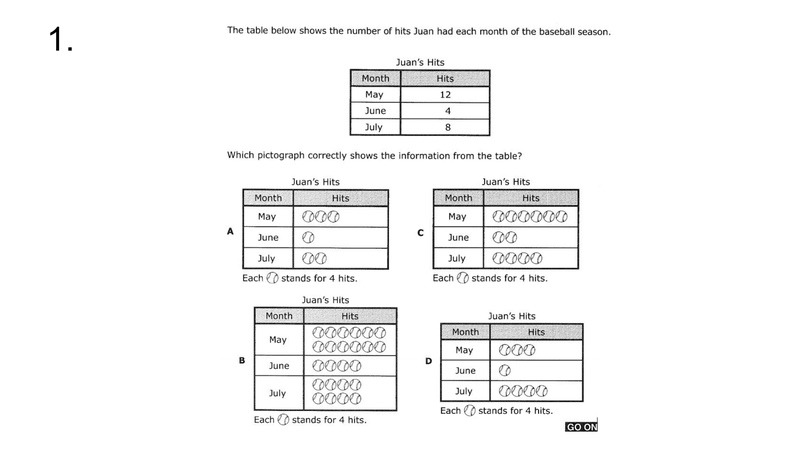 Which pictograph correctly shows the information from the table? 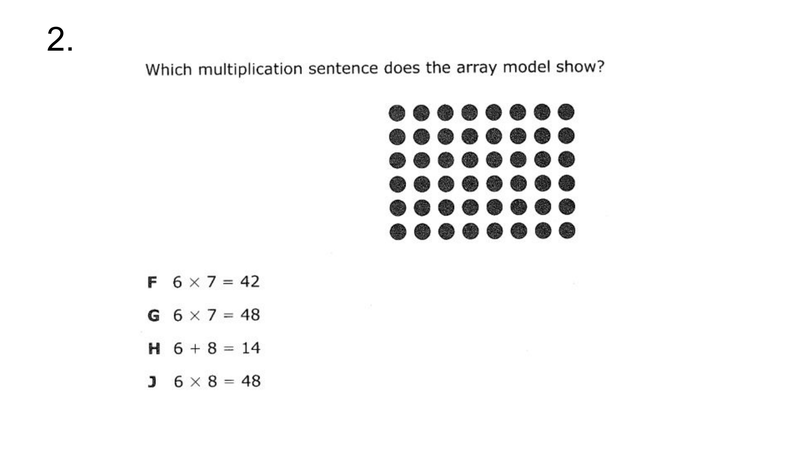 Which multiplication sentence does the array model show? 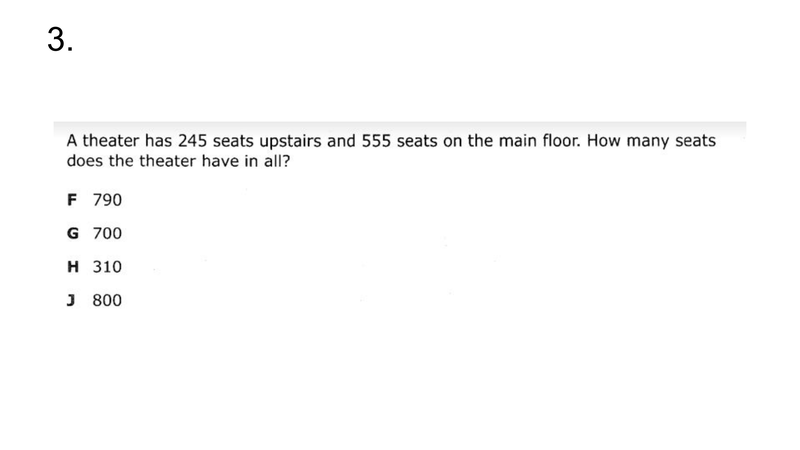 How many seats does the theater have in all? 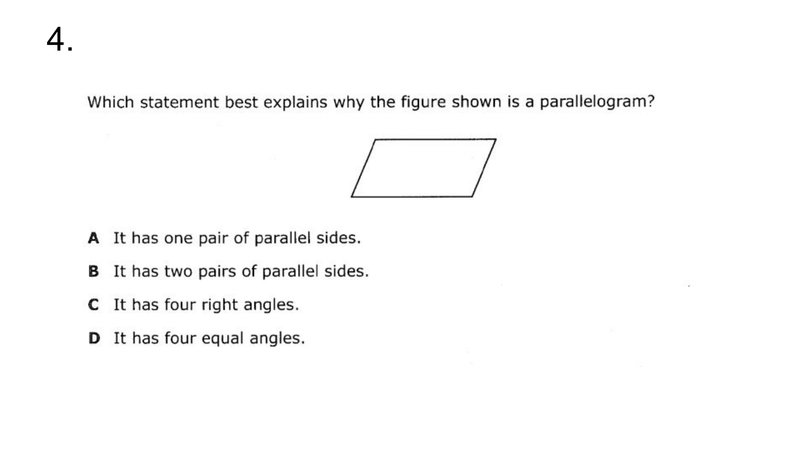 Which statement best explains why the figure shown is a parallelogram? 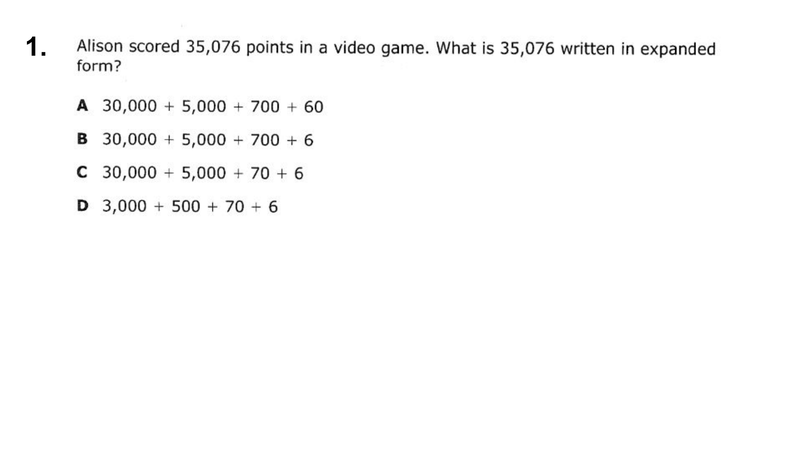 What is 35,076 written in expanded form? 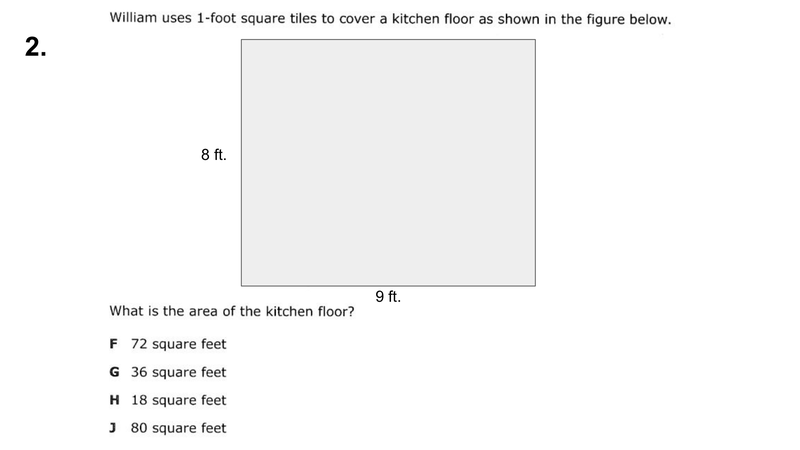 What is the area of the kitchen floor? 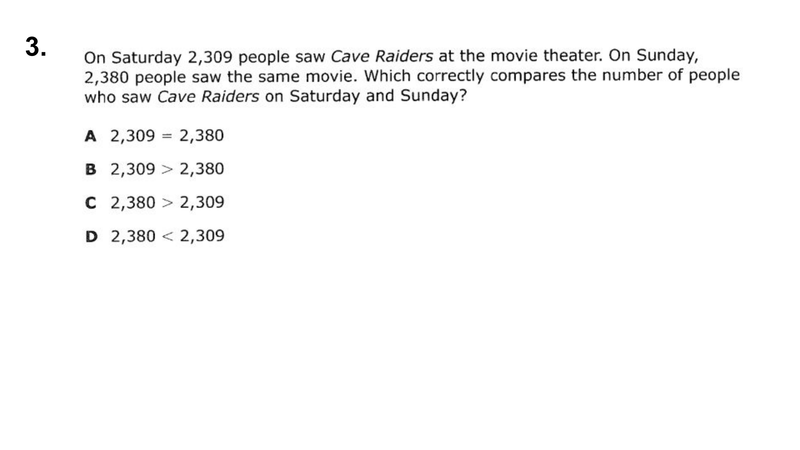 Which correctly compares the number of people who say Cave Raiders on Saturday and Sunday? 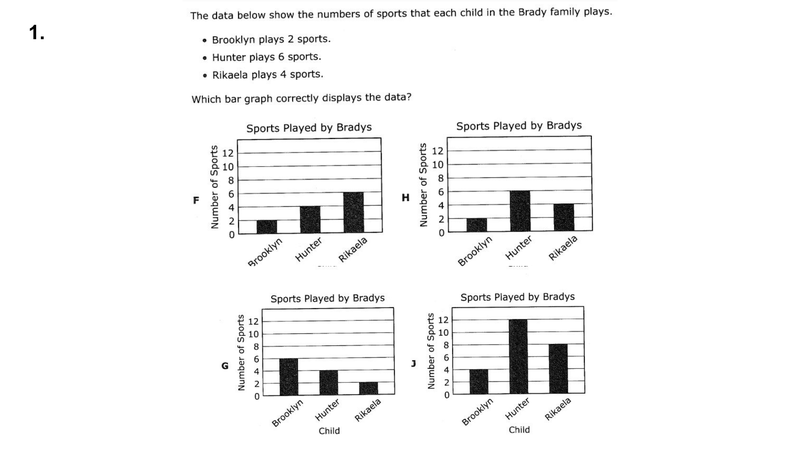 Which bar graph displays the data? 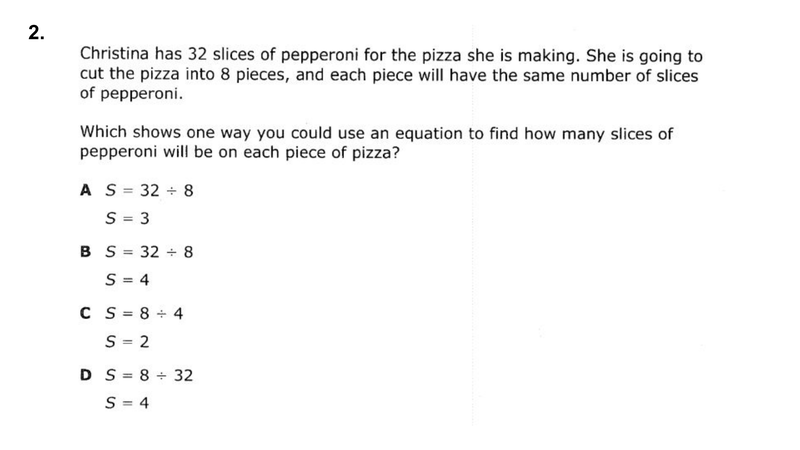 Which shows one way you could use an equation to find how many slices of pepperoni will be on each piece of pizza? 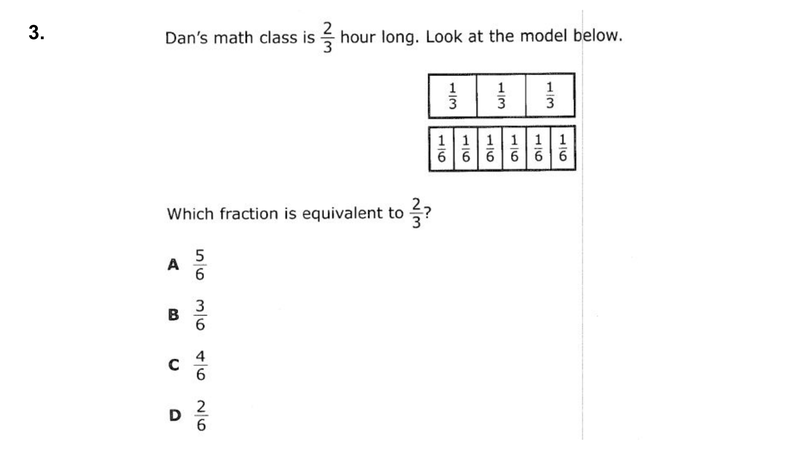 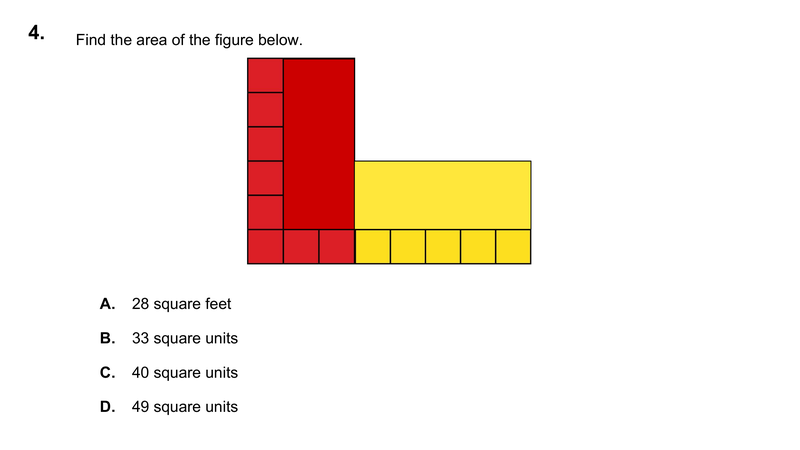 Which fraction is equivalent to 2/3? 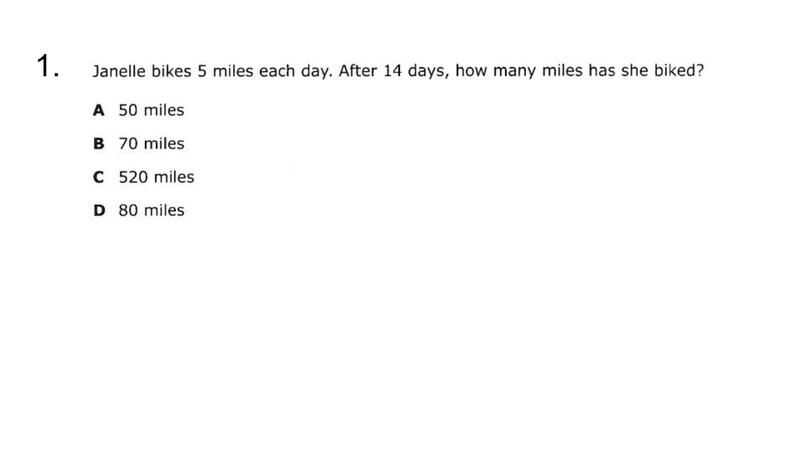 After 14 days, how many miles has she biked? 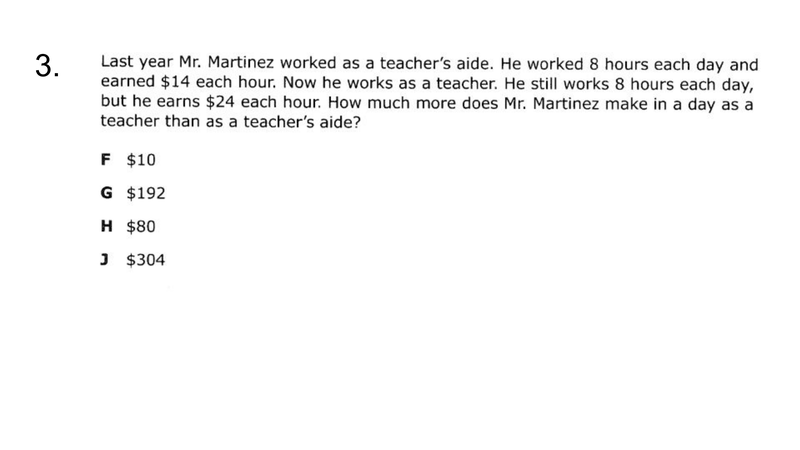 How much more does Mr. Martinez make in a day as a teacher than as a teacher's aide? 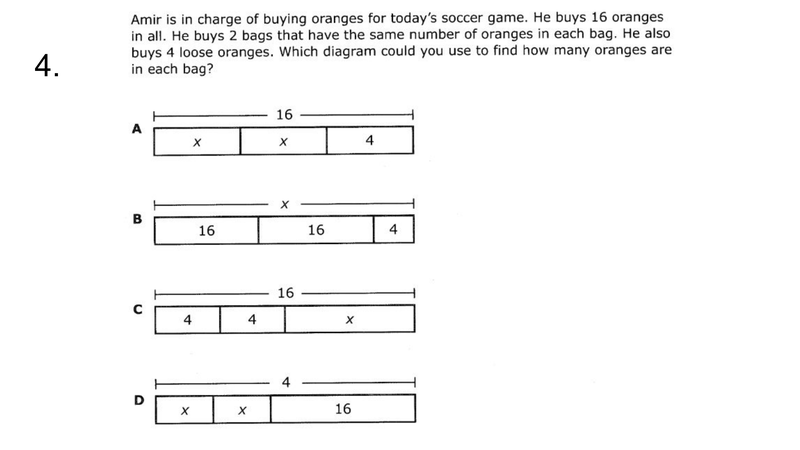 Which diagram could you use to find how many oranges are in each bag?